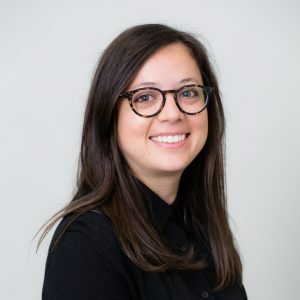 Katie Zanecchia is the national outreach program director, facilitating efforts to mobilize PEN America communities nationwide. She oversees the Press Freedom Incentive Fund that supports PEN America Members and allies in expanding their efforts in defense of a free and robust press as a cornerstone of democracy. She also works to promote open discourse and deeper learning on a range of free expression issues. As part of the Membership and National Outreach team, she advances our PEN Across America initiative to support activities in cities and regions across the country. Zanecchia has spent her career at the intersection of content, community, and advocacy—from literary agencies and book publishers to arts-based nonprofits. Before joining PEN America, she was a literary agent with the Ross Yoon Literary Agency, where she represented nonfiction writers, journalists, and other authors who sought to catalyze social change, challenge the status quo, and give voice to the underrepresented. Prior to that, she helped build and galvanize communities with CreativeMornings, a global, volunteer-led lecture series, and Girls Write Now, a creative writing and mentoring organization for underserved young women in New York City. A native Coloradan, she holds a BA in comparative literature from the University of Virginia.